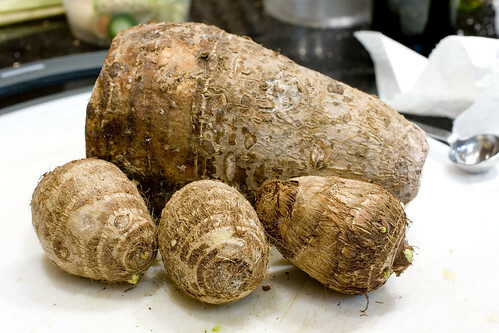 This post is going to address all aspects of preparing big taro- not to be confused with little taro. I probably haven’t had enough little taro and haven’t given it enough chances, however, big taro has thus far won my heart over. Little taro is slightly slimy/slippery, and has a different and I’d say, more mild taste than taro. If little taro was a waxy potato (like a red potato), big taro would be a russet (half way between starchy and waxy). You know those “taro” (in quotes because 99.9% of the time, they use purple-dyed artificially flavored powder) drinks at boba shops? They mimic / attempt to imitate the big taro taste. Big taro (as opposed to the hairy little ones) ranks high up on my list of favorite root vegetables- the best thing about it is that it is one of few vegetables that I think is adaptable both as savory (pan-fried then tossed into hot pot, taro cooked with pork, taro pork vermicelli (yu tou mi fen tang) <—want to post a recipe for this- someday!) AND sweet (xi mi lu, among many others) , without tasting too sweet for the savory, nor too savory for the sweet. 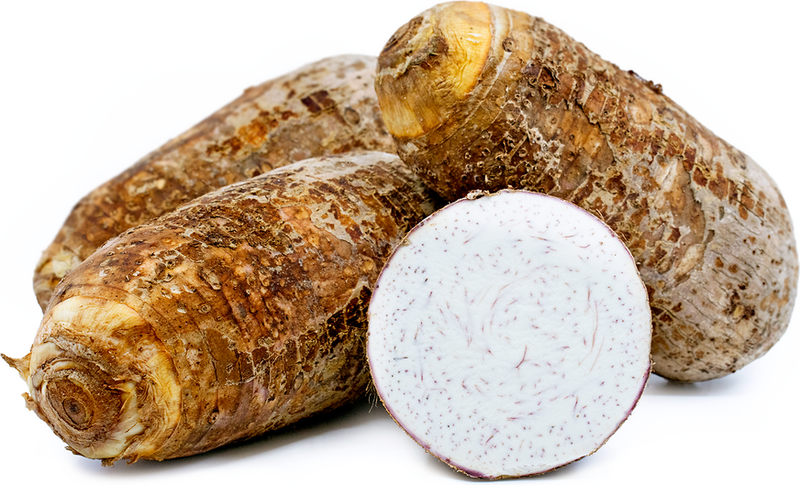 My mom used to buy taro in vacuum sealed bags, but when I moved to the other coast for college, I noticed that any supermarket that sold it, sold it whole- the big whonking taro root! Where Mr. ABC Chef and I live now, there are enough Chinese people that there is one supermarket-count em! one, that actually sells big taro. It sells taro both in the vacuum sealed bags, and also whole.